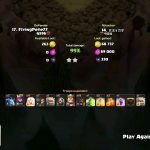 Hello guys, as requested, today I am going to show you a new Town Hall 9 war base which works extremely well against Valkyrie based attacks and lots of other popular ones! This layout was shared by Aphrodi! Thank you so so much buddy! 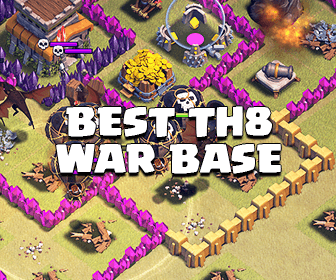 How does this TH 9 Clan War Base works? 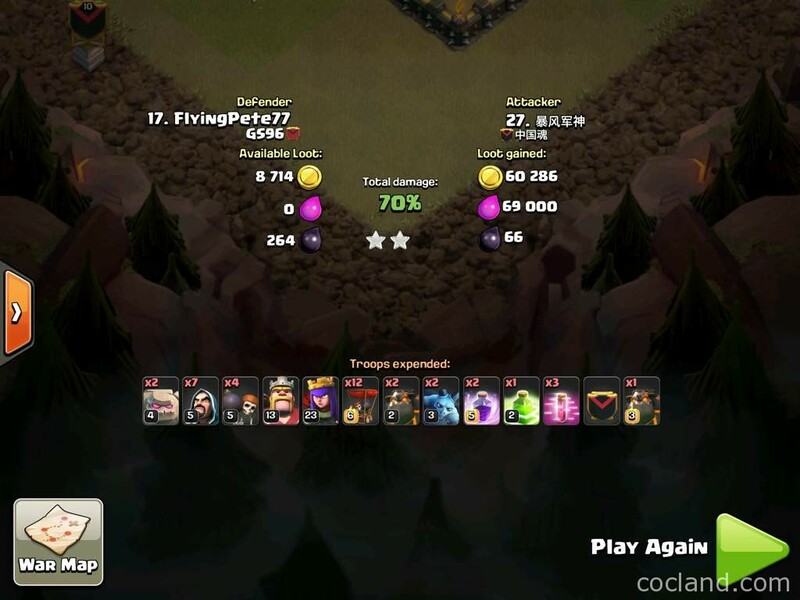 Triple Wizard Tower Setup: This Triple Wizard Tower Setup combined with Air Bombs is extremely deadly to Hog or Balloon attacks, after testing numerous Clan Wars. 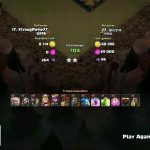 Tesla Farm and Wizard Tower Farm are parallel, which means this base is pretty un-Queenwalk-able. The Tesla Farm is the best feature of this base. 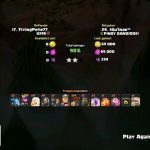 Tesla Farm can kill Hog Riders pretty fast even when they are under a Healing Spell. 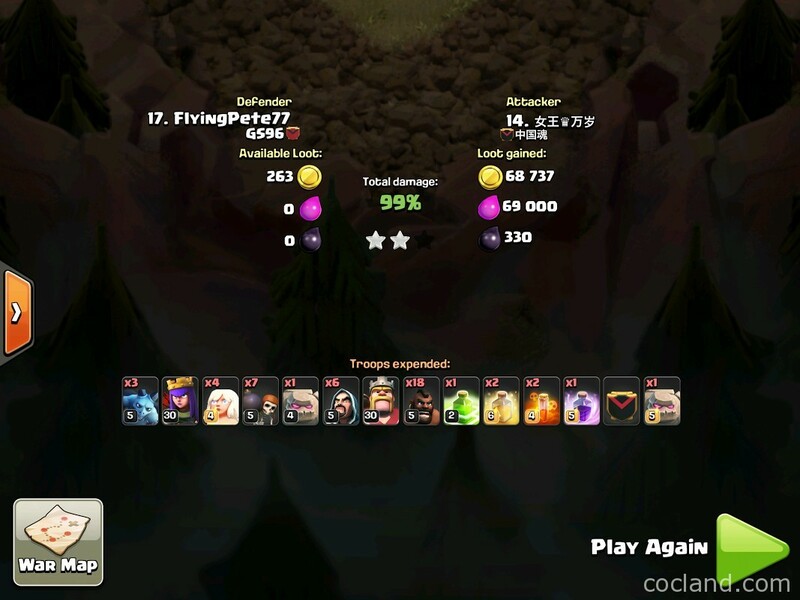 Attackers need at least 2 Healing Spell back to back or lots of Hog Riders in just 1 pack to destroy this Tesla Farm. There are also lots of Spring Traps inside this compartments, which can trim down the total of Hog Riders by a lot! 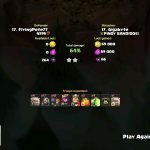 Skeleton Traps + Barbarian King also deal loads of damage to ugly Hog Riders. Ground X-Bows can easily force the attacker to use his Rage while using Queen Walk very fast. 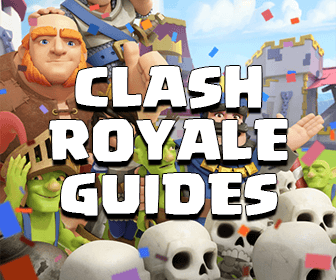 X-Bows are placed nearby 2 powerful farms so If the attacker didn’t scout this base carefully before attacking, Queen Walk will be easily countered! 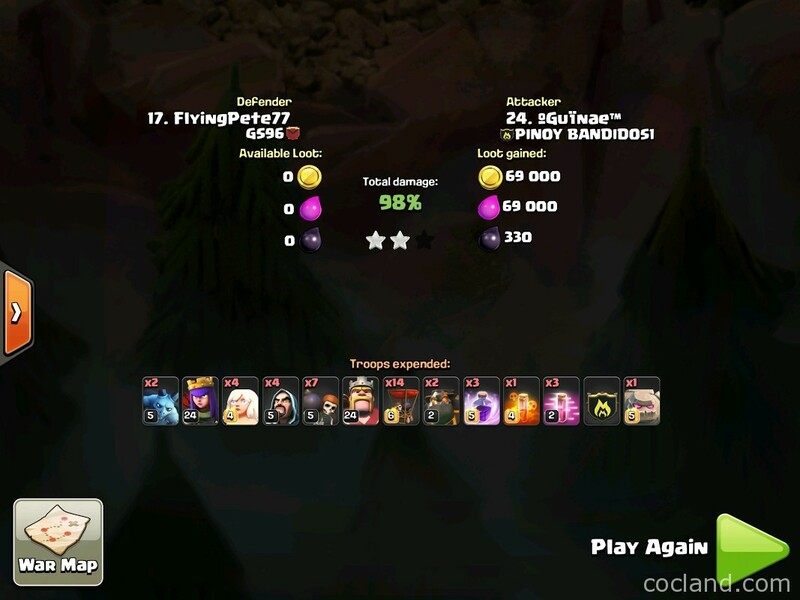 Archer Queen is well placed, far from key traps. 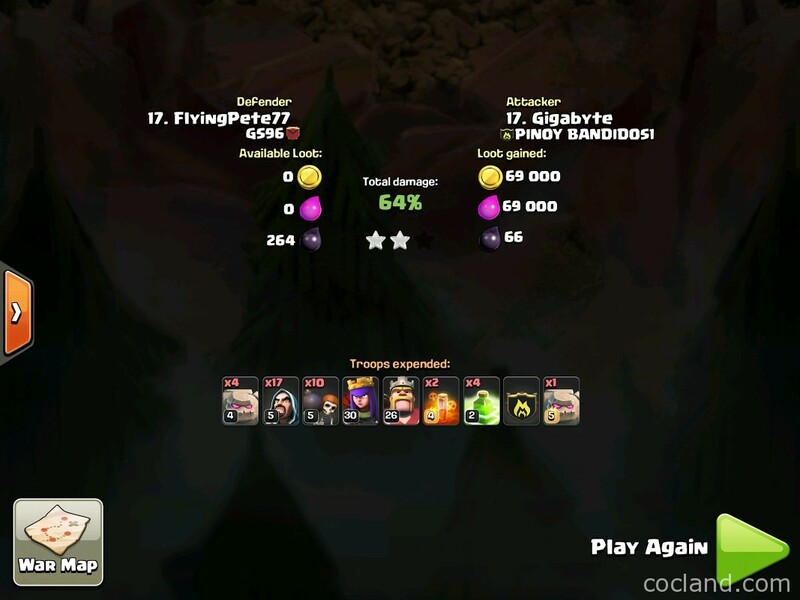 Inexperienced players will find it extremely hard to choose the right army compositions to attack this base! Kill Squad just can’t destroy both Archer Queen and key traps at the same time! Defensive Deadzone: At least one non-defensive structure is placed inside each compartment, this forces defensive targeting units to go in a circle and trigger traps! Well placed Air Traps: After tons of tests, I am pretty sure that all Air Traps in this base will help you take down loads of Balloons! And finally, defense logs for you guys! 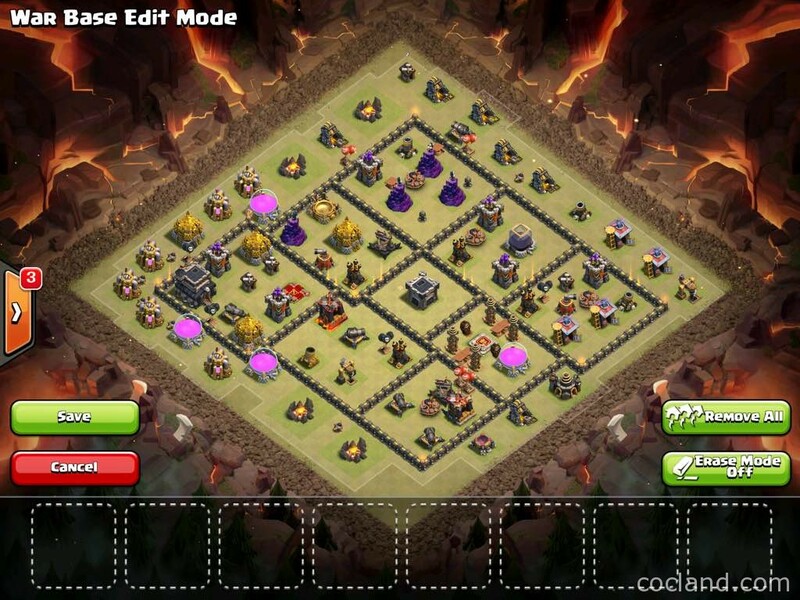 What do you think about this Town Hall 9 Clan War base guys? Please share your opinions!